Funny card. 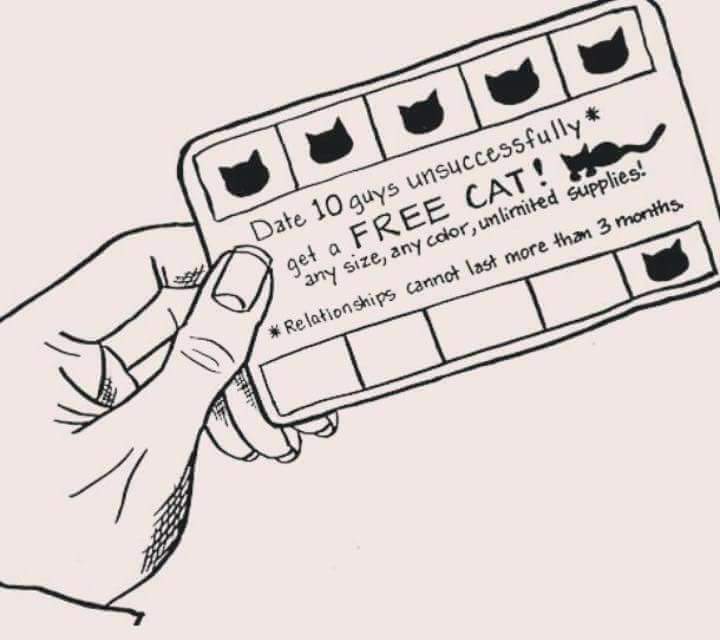 Date 10 guys unsuccessfully get a FREE CAT! Any size, any color, unlimited supplies!